I believe EVERYONE should face legitimate criticism, especially those of us who are leaders, activists and problem-solvers. Because of Johnson’s perceived position on homosexuality, Charing Ball – writing for Mademnoire.com – argued that we shouldn’t support his mission to create the new academy for Black boys. I believe that liberation must be total; it is highly contradictory to wage war against white supremacy while failing to wage war also against patriarchy, class, and sexuality-based oppression. As a man raised in a male supremacist country and world, there is no doubt that I was conditioned to have patriarchal thoughts and behaviors myself. The same applies to me growing up heterosexual in a world where gay/effeminate boys and men, along with lesbian/masculine girls and women, endure ridicule, assault and social discrimination to the point where many commit suicide or live embittered, embattled, and disgraced. Before you mistake me as some highly evolved brother on LGBT issues, I must say that I still struggle with this issue. I still cringe or shake my head when I see a transgendered person. I still get that WTF look on my face when I encounter a “flamboyant” gay man, or a lesbian couple kissing. (And like many of you reading this) I still occasionally wonder if there is a multimedia conspiracy to endorse and promote LGBT lifestyles. But while I won’t march in a gay parade, or consider myself an activist or spokesperson on those issues, I do understand that people have the right to choose and exercise their own sexual lifestyle. Such people should not face discrimination, brutality or ridicule for doing so. Furthermore, everyone has the right and responsibility to fight oppression however that may manifest (even if that makes other people “uncomfortable). If people are not thieves, rapists, sell outs, serial killers, or con artists (regardless of their lifestyle)…..I can find room to work with them. How does any of this relate to Dr. Johnson and his school? I write all of this to suggest that LGBT activists have the right to challenge Dr. Johnson or anyone else if they deem doing so is warranted and legitimate. Many of us Nationalists have much to learn in this territory. Perhaps Umar Johnson does as well. In any event, people have the right to challenge him and he has the right to explain or defend his position. In the process, he and people on both sides of the issue may grow and expand their consciousness. If we as Nationalists and Pan Africanists call for “Black unity,” we can’t advocate for, educate, and defend only heterosexual Blacks or those that subscribe to traditional notions of gender. At the same time, our boys (and girls) do need proper academic, cultural and professional preparation and they will only receive that in independent Black-centered institutions. If that is what Dr. Umar is trying to achieve, I’m with him and he has my support. If people believe he has some growing to do on the issue of gender and LGBT issues, challenge, debate, and educate him. He and we must understand that homosexuality is not new and is likely not going to end. I’d bet money that some of the teachers, students, and parents involved in the academy will be gay. How will they deal with this reality? But I encourage us not to sabotage his efforts to build a much-needed learning institution for our children. The education they receive in public schools is destroying their esteem, academic potential, and love of their Black selves and community. Existing schools led and staffed by our collective enemies have an agenda. They are raising generations of folks who will be non-critical thinkers, and semi-skilled docile menial laborers (or over-achieving and brainwashed middle-class negroes) in a white capitalist system. And all of us who graduated from elementary, middle, or high school and college need to remember that many of those institutions were created and staffed by white folk, some of whom were racist, sexist, and had issues with the LGBT lifestyle. The times in which we live, mandate that we find ways to resolve our issues while providing the things we need to survive and prosper as a people. True Black solidarity involves getting unplugged. It’s about consciousness and character. Think about it. 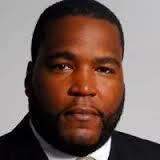 Again, I encourage you to support Dr. Umar’s efforts to build an academy for our children. Why hasn’t Umar given up this information himself??? Whenever someone asks him these questions, he goes crazy (check YouTube video: Umar Johnson Panics). And no one should have to educate a clinical psychologist on all matters relating to homosexuality when knowledge is free to all who wish to seek it. He has made it very clear that he is not interested in understanding anything regarding homosexuality because his personal opinions reign supreme. All the makings of a con artist who wishes to do us no good. All our skinfolk ain’t our kinfolk. Im looking for a black conscience community to be a part of. I currently live in Phoenix,AZ and would like more info on how i could link up with real conscience black brothers and sisters here in Phoenix. Im brand new to the black conscience community and i am really intrigued by the lectures of Dr. Umar Johnson and his movement and would like to be informed and enlightened and become a part of a group here in Phoenix.